LWML Ladies Guild will meet on Wednesday, April 3rd at noon. Remember to bring your own lunch as we fellowship until meeting time at 12:30. Dessert will be provided. Ladies will be sharing the recent Zone rally held in Augusta. Nominating committee will be presenting the slate of officers for election at the May meeting. We will talk about the upcoming National Convention to be held in Mobile. Check out our board in the Social Hall for additional information. New Quarterlies are available; past issues are in the magazine rack by the chairs in the narthex. Come join us! LWR Quilters are still turning out about 10 quilts a month for your viewing. The quilts hang in the Education Building as well as on quilt racks in the back of the sanctuary. We change them out so you have an up-close look. Quilts are available until mid-August when we will box them up for overseas shipment. 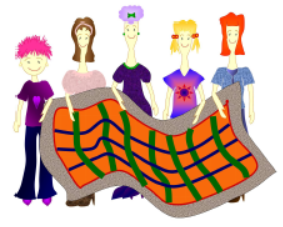 We welcome all ladies to join us on quilting Tuesdays. We could use a few more to help create the quilts: sewing tops at home or layering them with batting and backing when we meet in the Education Building. In the meantime, we are collecting items for the health kits. In April we are highlighting bath bar sizes of soaps. Please, no samples or hotel soap. You can continue to put towels in the gray box (now labeled SOAP). Thank you for your donations, and we will always accept cash or checks and do the shopping for items we still need by August. Serving our Lord with God-given talents.